American Sign Language interpretation involves more than translating words into signs. From his decades of experience as an interpreter educator, Campbell McDermid keenly understands this approach. American Sign Language interpretation involves more than translating words into signs. From his decades of experience as an interpreter educator, Campbell McDermid keenly understands this approach. 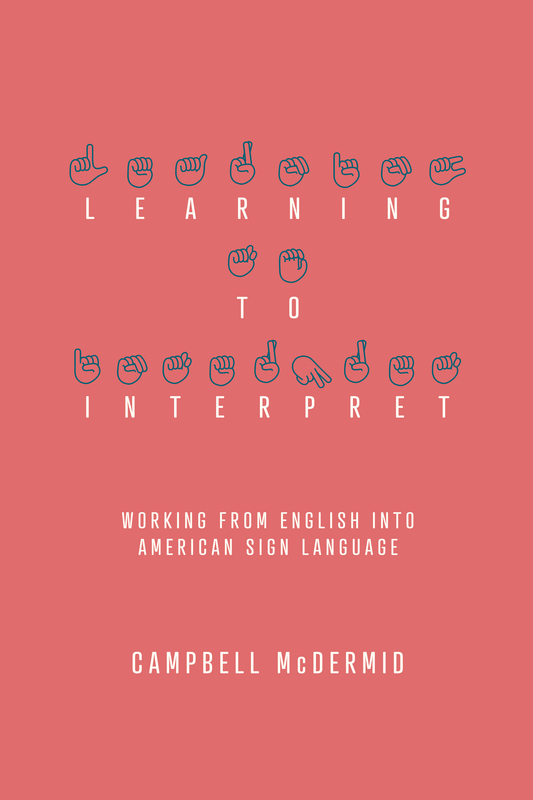 McDermid’s teachings are grounded in linguistics, research and theory, and his text aptly combines theoretical and practical exercises through use of examples, targeted exercises, and development of skills that are critical to the interpreting process. Learning to Interpret introduces a number of basic linguistic concepts and provides a guide for translating English to ASL. Students of interpretation will better understand how to paraphrase from an English source to an English target text, allowing them to more accurately translate the final text into ASL. Campbell McDermid, PhD, NIC, COI has worked in the interpreting field for over 30 years, and his experience encompasses community, educational and medical interpreting. He is an Assistant Professor at the University of North Carolina-Greensboro and formerly taught at the National Technical Institute for the Deaf at Rochester Institute of Technology, Rochester, New York. McDermid’s research and published work focuses on the interpretation process based upon various theories in pragmatics, cohesion, and translation studies. He has researched ASL as a second language, the professional deportment of sign language interpreters, and the change in identity as interpreters learn about Deaf culture and become fluent in ASL.